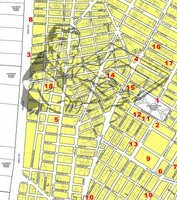 The Architecture page for the NYCAtelier Map and Guide to Greenwich Village and SoHo has been added. 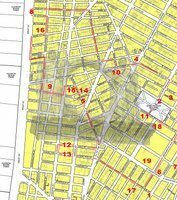 This map highlights some of the architectural treasures that have been built in the West Village and SoHo over the last two hundred years. Along with descriptions and locations, the map highlights a suggested route for a self guided walking tour that can be taken at your leisure. This map can also be used with the intended sister map, the map and guide to architects in the West Village and SoHo. As the city continues it's course into the unknown, it's interesting to think of those who are apt to suffer from the fallout, and yet had little to due with the causes of the current situation. Organizations that could not have been more removed from the fiscal irresponsibility of entities lending and borrowing money they could not afford to do, are going to be impacted dramatically as the belt continues to tighten. Museums, art galleries, theatres, and the like, will see their funding from institutions and private sector individuals all but disappear as those responsible reassess their financial situation. It is all but certain that public and private galleries that have depended on funding from institutions based in the city will see their funding cut dramatically or disappear altogether.